I recently published my first book. It's called "Accessible American History." The link below will take you to a hub that provides more details, including links to where it can be purchased. Why Can't Romney Get Republicans Excited? At the moment, it seems pretty clear that Mitt Romney is going to be the Republican nominee. It has also been clear for some time, however, that Romney is not a candidate who elicits a passionate reaction from much of the Republican faithful. On the one hand, I find this lack of Republican enthusiasm rather odd. In many ways, he seems like the ideal candidate. He appears to be a strong family man with good old-fashioned values. Before going into politics, he was a tremendously successful businessman, exactly the kind of wealth generator that conservatives typically celebrate. He also has some real executive experience as a governor, and it’s hard to beat that hair. The trouble is that he also has some real political liabilities. As governor, he signed a health care bill that bears an eerie resemblance to so-called “Obamacare.” Never mind that the idea of a health insurance exchange goes back to the Nixon administration, that Republicans were the first to propose a mandate requiring people to purchase health insurance, or that the 2003 Medicare prescription drug benefit is based on similar principles. Republicans all know that “Obamacare” is socialized medicine, and anything connected to Obama instantly becomes tainted as evil due to his personal association to it. Romney also has an apparent history of “flip-flopping,” saying things that were politically effective when he was running for governor of liberal Massachusetts and then changing his tune when running for the Republican nomination in the Tea Party era. But in the end, his biggest liability may be personality (or lack thereof). Amazingly enough, Republicans have managed to find their equivalent to John Kerry, another “flip-flopper” with the personal charisma of a potted plant. If nothing else, we can all be thankful that this is not Kerry vs. Romney, 2012. CNN polls would likely be taken to find out which candidate most effectively induced audience unconsciousness during each of the televised debates. People would also have the opportunity to bet on which candidate’s hair helmet would stay intact the longest under the pressure of the television lights. But there are also two other significant liabilities that I find rather ironic. One of these was clearly exposed before the South Carolina primary. Newt Gingrich, who (very) temporarily became the frontrunner after his victory in South Carolina, had managed to gain some traction prior to his triumph by painting Romney as the former director of a job-killing hedge fund. Criticism was also levied against Romney because of the supposedly low tax rates that he had been paying for years on his tremendous wealth. Suddenly, it seemed that American politics had moved into some sort of a bizarre, opposite world. A Republican was attacking another Republican who had earned huge returns for his hedge fund’s investors (and himself), and a Republican looking for Republican votes was actually getting criticized for paying low taxes. Instead of being seen as a hero who had made a fortune by taking over private industries and making them more efficient, a man who did his best to hold on to the money that he had rightfully earned, Romney was being portrayed as a job-killing, tax dodging member of the corporate elite. It’s no wonder that the Republican establishment stepped up its attacks against Gingrich following his South Carolina victory. This line of attack against the cherished goal of making as much money as humanly possible could not be tolerated. The other major liability, however, is the result of a Republican electoral strategy that goes back for decades. Ever since the 1970’s, Republicans have done an effective job of courting the evangelical Christian, “family values” voters. Now, ironically enough, the Republican standard bearer is apparently going to be a Mormon, a religious denomination that a significant percentage of evangelicals, whether they want to admit it or not, considers to be a cult. Sure, Mormons believe in Jesus and agree with evangelicals on the family values issues: abortion, gay marriage, media censorship, etc. But they also believe in that whole Book of Mormon thing, which includes theological ideas that are clearly outside of the Christian mainstream. So how do they reconcile their belief that the Republican Party is the more Christian of the two when it is trying to elect as president a prominent member of a cultic group? I have always found the fusion of fiscal conservatism and social conservatism to be rather strange. Maybe this election will help demonstrate which faction of the Republican Party is more significant. Do more Republicans care about low taxes and limited government than the promotion of Christian values? When the rubber meats the road, do fiscal issues and the desire to defeat the “liberals” trump concerns about making America a more Christian nation? We all know, after all, that Obama is a closet socialist Muslim, and while Joseph Smith may have had multiple wives and talked about people acquiring their own planets in the afterlife, at least he was a white guy who acknowledged Jesus as his savior (more or less). I suspect that in the end, the pocketbook will trump religion. Even the hard-core fundamentalists must realize on some level that politicians have a limited ability to promote Christian values. Politicians can, however, keep tax rates low and make sure that undeserving people do not get access to affordable health care. And in a political party where many self-professed Christians see no contradiction between having obscene amounts of wealth and “following” a savior who said only negative things about wealth accumulation, these supposed followers of that savior should not have a big problem with a politician who has some unorthodox theology. As long as Romney fulfills Jesus’ desire to maintain low tax rates, limited business regulations, and for profit health insurance (for those who can afford it), he will be “Christian” enough for them. No. Although I can imagine what they say, given his career as a "job creator" with his hedge fund. The problem with this notion that a businessman can come in and run the government like a business is that a president must answer to all Americans, not just to stockholders. @Freeway Flyer - I wasn't addressing you. I figure many "Romney eyes" will see this article, which I liked BTW. It was obvious to me that this was satire. 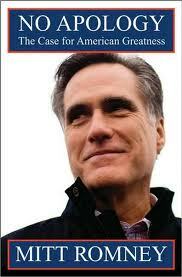 I will, however, expose Mitt Romney when and wherever I can. BTW, have you seen this video, called "When Mitt Romney Came to Town"
I'm not sure who you are addressing in your comment. I'll assume that it is to the population in general. As I tried to make (not so subtly) clear, I'm not particularly impressed with Romney either. Mitt Romney receives the majority of his campaign money from Goldman Sachs, as well as other big corporations. Who do you think his loyalties are too? A vote for Romney is a vote for the bankers that he works for. I am a Christian. In my own observations, I have found that the religious vote will overwhelmingly go to Ron Paul. Voting on religious basis alone is stupid. Being a "good" Republican or "good" Democrat is stupid. 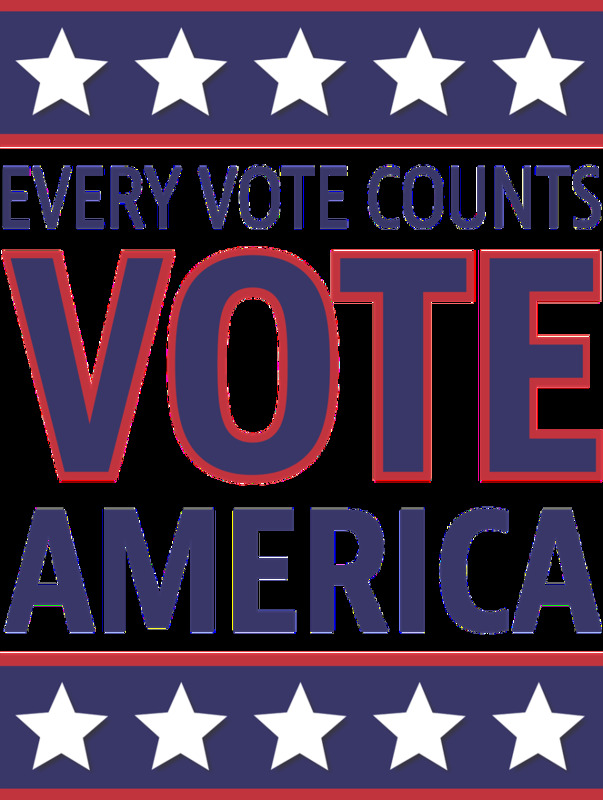 Learn what our country is about, then vote for those who are dedicated to restoring it - not just those you think will win. We all learned about propaganda during school. I guess we were all sleeping through that class. It's aggravating to me that most of the American sheeple don't even know what the real problems of this country are. Wake the f@#k up! Don't just say, "Well I'm not all that political." This stuff matters to everyone! I don't necessarily see prosperity as evil either. But then again, I'm not a follower of a religious faith in which its founder said so many negative things about people who accumulate large amounts of wealth. The trouble is that so many Americans seem to see wealth accumulation as the ultimate goal of life, and they tend to value things that can be measured with dollar signs. Isn't there such a thing as the public good? I'm sure that someone has produced a video of Romney the flip flopper. If they haven't, I'm sure that the Obama people are working on one. The general election, if Romney wins the GOP nomination, is going to be very interesting to watch. Romney supported instituting his plan on the national level (which Obama basically did), supported cap and trade, reproductive rights, and also gay rights. The man, at some points in his political history, sounded more liberal than Obama! I cannot understand how GOP voters (though I'm not one so maybe that's why) could elect someone who stands for everything they claim to hate. Also, Romney is more of a flip flopper than Kerry was, but just about as exciting. Kerry did not flip flop on almost every major position he had. I'd like to see a hub that just gave a bullet list, with youtube videos, of all the flip-flops Romney has done in this campaign season. Voted up. As a conservative myself, I find much of what you say to be unfortunately close to the truth. We have comprimised what we claim to be important for the sake of prosperity, power and status. Not that I believe prosperity is evil but if it comes before our devotion to God it is! Christopher, I agree with you on both counts. Although I guess you could make the case that Obama will have nothing new to throw at Romney when the general election campaign begins. I definitely detect a touch of the cynic about this hub. Still it is made even more readable for that. As an outsider, there are two things that appal me about the whole republican nomination process. The first one is the sheer negativity of the campaigns. Don't either of the front runners realise that, if they constantly rubbish each other, they are just giving ammunition to the person one of them is ultimately going to have to beat? Barack Obama. The other issue I would point out, is that if Romney wins, it will just be because he had so much more money to spend on his campaign than the other candidates. Loved it, cynical and satirical yet so true voted up and interesting + following.